Prince Edward Island Cruises - Which Cruises Stop At This Port? Prince Edward Island Cruises – Which Cruises Stop At This Port? Prince Edward Island is the smallest province in Canada and located on the east coast as part of the Maritimes. 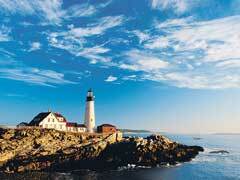 Prince Edward Island cruises as part of an Eastern Seaboard or Maritimes cruise are offered by many different lines. Charlottetown, the capital is also home to the port where the cruise ships dock, allowing you time to explore the charm and grace of Canada’s birthplace. cruises from Quebec City to Prince Edward Island are available from Princess Cruise Lines, which offer stops in Nova Scotia, New Brunswick, Maine and Massachusetts before heading to New York. Holland America offers Prince Edward Island cruises as part of their sailings from Boston, Montreal or New York, while Celebrity and Royal Caribbean visit from New Jersey’s port of Cape Liberty. Cruises to Canada offered by Norwegian, Regent 7 Seas, Oceania and Silversea, as well as Seabourn all offer you the chance to visit Prince Edward Island. The history is alive and well with the many walking tours, historical re-enactments, and of course, Anne of Green Gables as the Island strives to educate and inspire visitors to its famous past. A cruise to Prince Edward Island isn’t all about the rich history, as you can learn how to fiddle, learn how Irish moss is harvested, and experience what ‘tonging for oysters’ is all about or catch and prepare your own lobster for dinner. Lavender growing and distilling, crafts and markets, Confederation Trail, not to mention beautiful golf courses and many other wonders both natural and man-made await you on Canada’s “Gentle Island”. Prince Edward Island cruises are a wonderful way to experience the island as well as the others that make up the Maritime Provinces. With so many different lines making Charlottetown a port of call, you are spoilt for choice. Leaving from so many diverse ports allow ease of departure as you embark on a true East coast experience, alive with song, poetry and island breezes. Check out the many Canada cruise deals that are offered on both the large and the smaller ships that service the Maritimes. The choice is yours but when you pick Prince Edward Island cruises as part of the itinerary, you are letting yourself in for a treat for all the senses. Come, explore, and see why Prince Edward Island makes a perfect cruise ship destination.